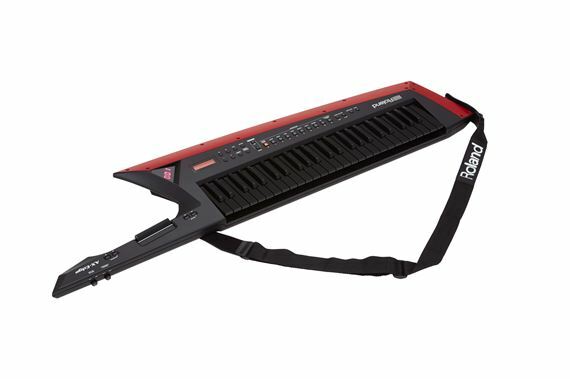 Order your Roland AX EDGE Keytar Synthesizer from AMS and enjoy 0% Interest Payment Plans, Free Shipping, Free Extended Warranty & 45 Day Money Back Guarantee. 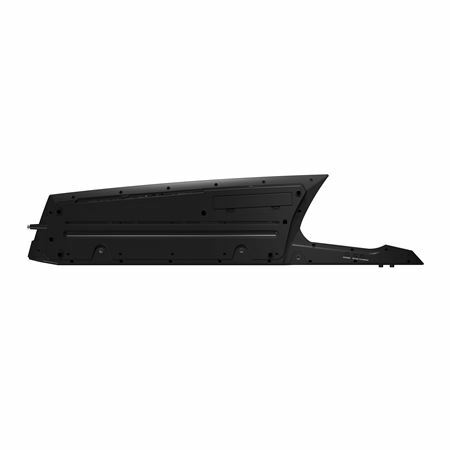 The AX-Edge provides a stage presence that every artist craves. Today’s artists want to connect with their fans while creating a dynamic performance that stands out. 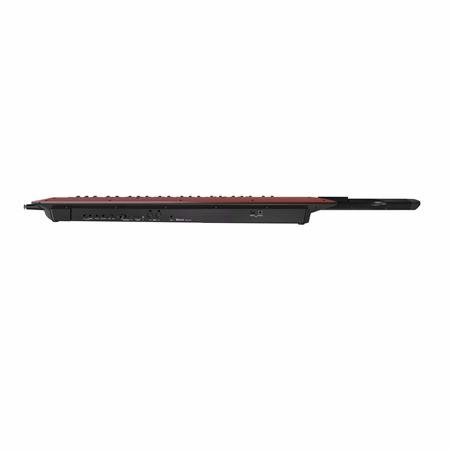 The AX-Edge has a sleek, modern design with a customizable look via interchangeable Edge Blades, 49 full-sized keys, and a sound-set crafted specifically for keytarists. The AX-Edge builds on decades of refinement and learning from artists the world over about what makes the ultimate performance synthesizer. And throughout the AX-Edge, you’ll find thoughtful design features that give you the freedom and confidence to truly express yourself on stage. Stage presence is everything, and you work hard to develop your image as a solo performer or band. 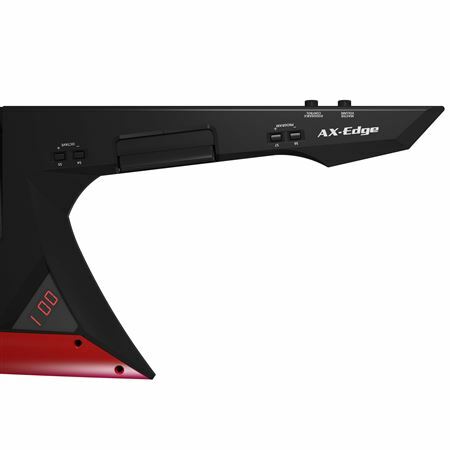 The AX-Edge is designed to not only look stunning on stage, but also to match your own unique style. 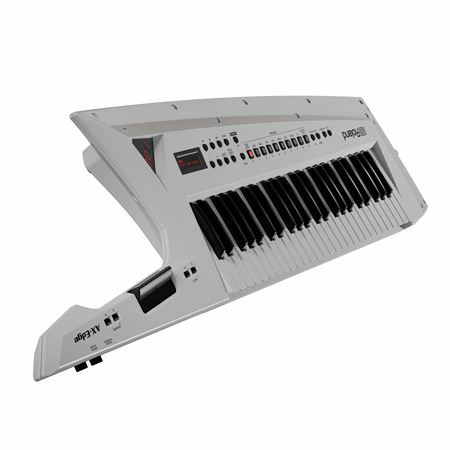 It’s available in black or white and each color has individual design elements that make it stand out, like the “none-more-black” keys and removable Edge Blades. The AX-Edge comes with an extra Edge Blade in the box (a silver Edge Blade for the black model, and a gold Edge Blade for the white) and you can even create your own original designs. Create a look that complements your band’s style or swap out Edge Blades to keep things fresh. 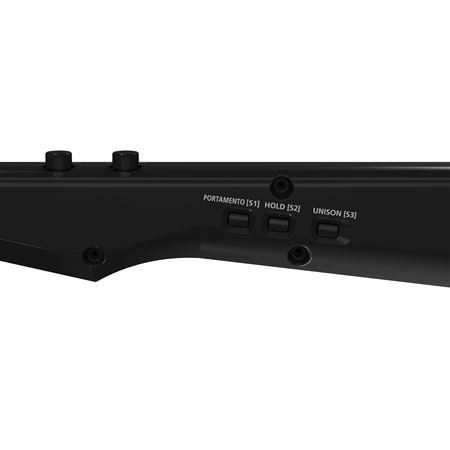 We didn’t cram generic preset sounds into the AX-Edge, it has a curated sound-set driven by our latest technology. Onboard sounds are optimized for stage performance, to produce sounds that cut through – even in a loud band. Dedicated buttons for favorite sounds give you instant access to edgy leads, big fat basses, and all manner of keyboard sounds perfect for the performing keytarist, whether it’s taking a solo or sharing the limelight with your bandmates. If you like to customize your sounds, you can connect to the AX-Edge editor app with Bluetooth MIDI and tweak your sounds wirelessly. 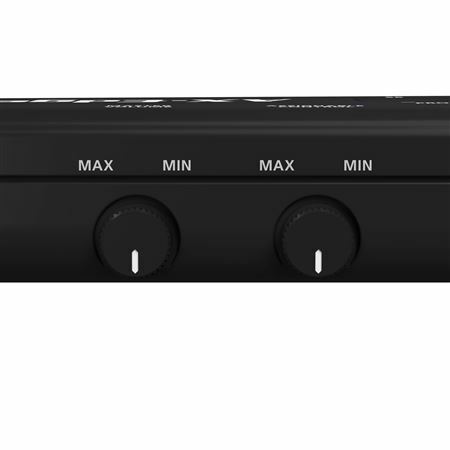 Splits and layers let you take full advantage of the expansive, full-sized keyboard, and a wealth of stunning new effects, including a master compressor and EQ give you polished, studio-quality tone in any venue. And thanks to the Tone Remain function, you can switch sounds seamlessly on stage without notes or effect tails being cut off prematurely. It’s lightweight and comes packed with sounds!! Easy to use, especially with batteries!! I’m a fan!! Great organ, horn and string sounds. I love the synth and guitar sounds. The piano/keyboard sounds leave a little to be desired. I can definitely make use of the piano/keyboard sounds, but after using my Motif XS for so many years, I became used to those piano/keyboard sounds. 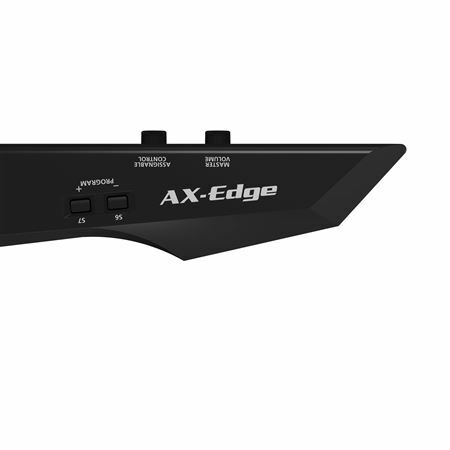 I’ve played 6 band gigs with my AX-Edge, and it’s been fun being as mobile as the guitarist and bassist on stage. I also sing while playing, so this took a moment to adjust to since I was so used to the standard keyboard position for playing. 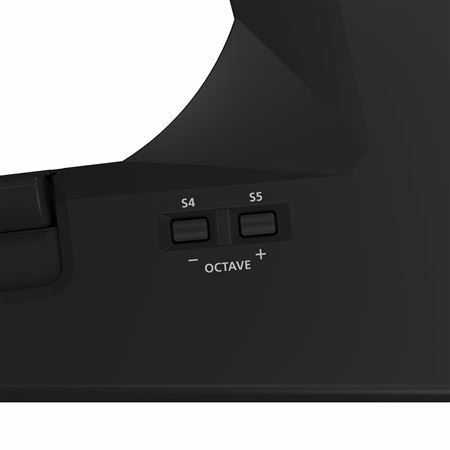 But, I’ve made good use of the octave buttons, and I’ve learned how to preset my favorites, so performance is easy. It did take a 2 shows to get used to the shoulder positioning, but I’m very used to the feel now. 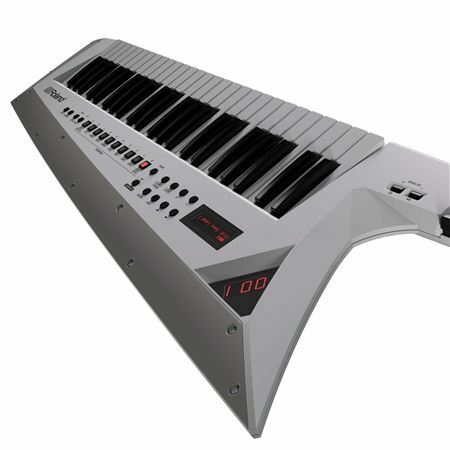 Well worth the money awsome synth. 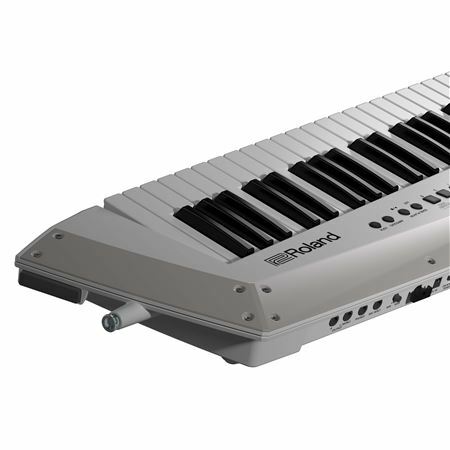 This is a awsome synth very fun to play I recommend it. I love this letter! Given the fact that I was so thrilled that Roland came out with another rendition of the AX. This baby tops the original!! It’s bigger than I expected. It’s light weight but man with the technology and sounds on it makes it a PURE BEAST!! I also love the effects that you can set as well. So many uses you have with it. I love the sounds and ease of use. The downloadable app provides a quick and easy interface to customize the patches I was up and running in ten minutes. 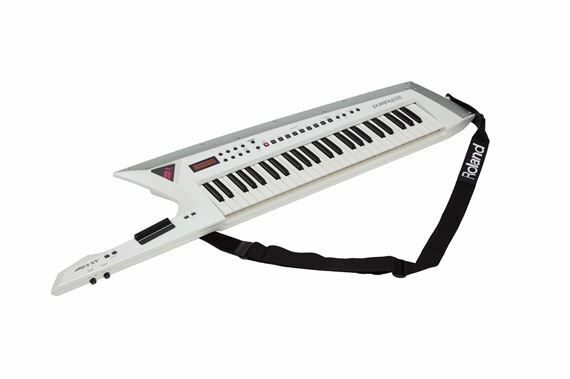 This keytar is sure to turn heads at performances! Awesome musical instrument! You can make so many different sounds with this thing!